The oft-heard advice given by motorheads is never buy another man's project...but these are the same motorheads who constantly buy other folks' projects - meaning the advice is actually a self serving attempt to keep competition and bidding wars at bay, or so I tell myself when I see something like this BMW New Class. Find this 1976 BMW 2002 project currently bidding on ebay for $1,225 reserve-not-met with 1 day to go, located in Tujunga, CA. CRZRSN pointed out in his oppo post yesterday that the offset stripes and yellow paint job are a good match for Torchinsky's beetle. The interior needs some help on this New Class -specifically it needs to be torched and rebuilt from the ground up. However, most of the pieces should be available from reproduction or new old stock sources for a reasonable amount of cash. A good project car like this is the ultimate transformer because it will transform your wallet into something lighter. 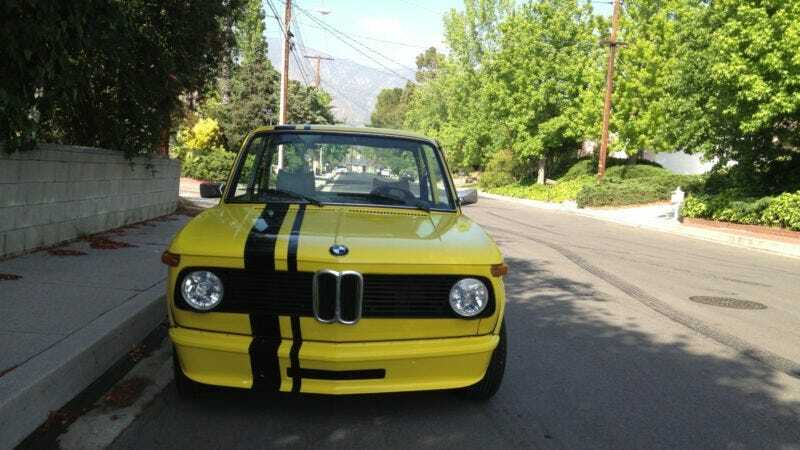 Originally posted as 5k: BumbleBMW: 1976 BMW 2002 on Daily Turismo.